Visit us at Cabe Toyota near Compton, CA and see our selection of new Toyota vehicles in our inventory. 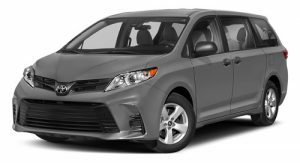 If you are looking for a new Toyota car, truck or SUV near you, stop by our dealership near Compton and take a look at any of our vehicles, including the Toyota Corolla, Prius, Tundra and Sequoia. We also are a used car dealer near Compton, ready to help you find the perfect vehicle to meet your needs. Our finance department at Cabe Toyota has a variety of finance and lease options available for new and used cars with affordable monthly payments. Take advantage of Toyota specials at our dealership serving Compton and you can save even more money. The Cabe Toyota parts and service department is here to perform any type of repair or maintenance your vehicle may need, such as oil changes, tire rotations, wheel alignment and more. If you would additional information about any of our vehicles for sale, visit our dealership near Compton, California.